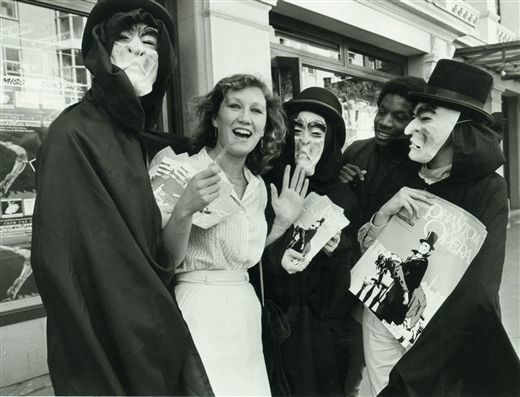 A promotional photgraph for Phantom Of The Opera, 1984. Cast members with Front Of House manager Jacqueline Sweetman. Photo courtesy of Express And Star.